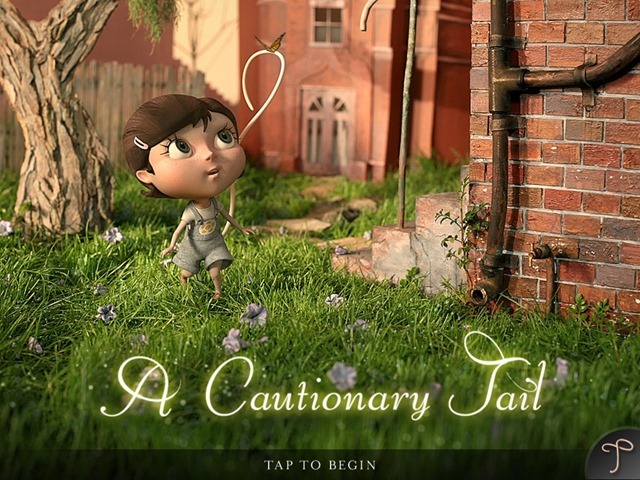 A Cautionary Tail is a new iPad storybook app based on an award-winning animated short film of the same name. It’s a good story and has been beautifully adapted for the iPad. A Cautionary Tail is a dark, funny fable about a girl born with a tail, that combines cinematic 3D animation, narration by David Wenham, delightful interactive features and an important message about self-acceptance. My 10 year old daughter and I read the storybook together yesterday evening, and both of us were very impressed with it. Goodnight Moon. Margaret Wise Brown’s story is a bedtime classic – maybe the classic bedtime story, at least in my household, where it’s an all-time favorite. And now it’s a lovely little iPad (and iOS) storybook app – just released today on the iPad App Store. 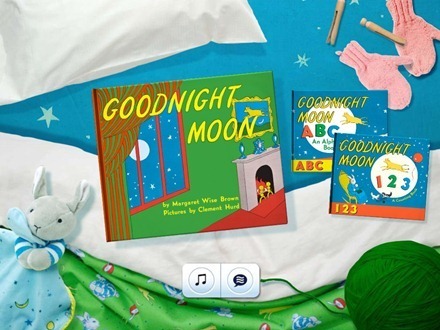 Children, parents and fans of this charming storybook will be delighted by the crackling fire, soothing piano music and sing-song narration as they help the little bunny say goodnight to all the lovely familiar things in the “great green room”. With a touch, swipe or tilt of the screen little fingers send the cow jumping over the moon and make the three little bears chatter and laugh in their chairs. Find and follow the tiny mouse playing hide and seek and discover hidden surprises on every page. Empty the bowl of mush, make the mittens wave good-bye and hear the old woman whispering hush while shooting stars, purring kittens and slowly fading light help your own little bunnies drift off to sleep. The app is published by Loud Crow Interactive, the makers of the superb A Charlie Brown Christmas iPad storybook app – chosen as one of the picks in our Best iPad Apps of 2011 list. My daughter is 9 now and perhaps just a bit too old to enjoy this story now, though I imagine her love for it may return some years down the road. Just hearing the story’s title fills me with good feelings, so I installed the app earlier today and took a quick look. It’s very nicely done and has lots of fun interactive elements (more than 200 touchable objects) that will give young kids lots of extra entertainment on each page. It also has nice little touches like the ability to personalize the book a bit, tapping on individual words to hear them spoken, and the choice to listen to the professional voiceover or read the book yourself to your child – or have your child read it to you. The app is currently priced at $2.99 as an ‘introductory price’ – its standard price will be $4.99. Here’s an App Store link for Goodnight Moon; it’s a universal app designed for both iPad and iPhone.